Abstract: Streaming audio and video content currently accounts for the majority of the internet traffic and is typically deployed over the top of the existing infrastructure. 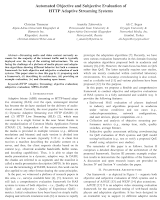 We are facing the challenge of a plethora of media players and adaptation algorithms showing different behavior but lack a common framework for both objective and subjective evaluation of such systems. 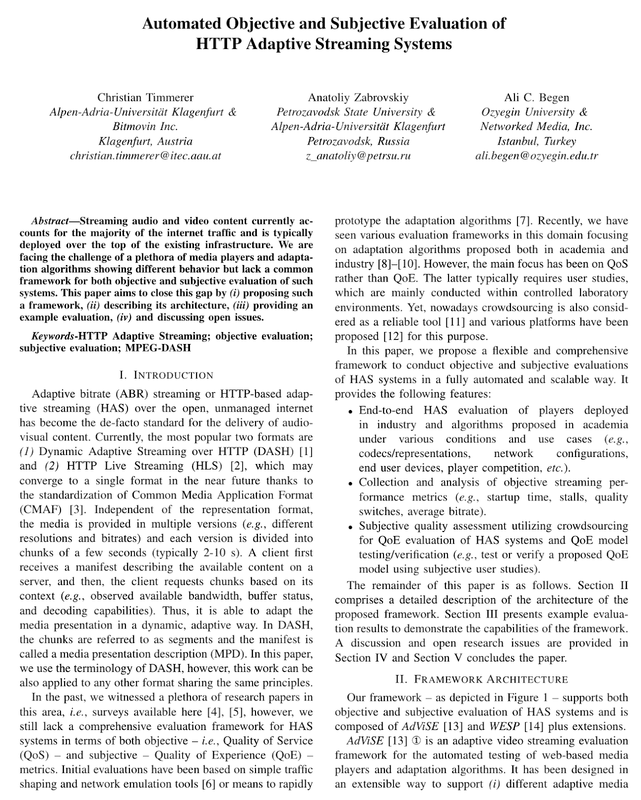 This paper aims to close this gap by (i) proposing such a framework, (ii) describing its architecture, (iii) providing an example evaluation, (iv) and discussing open issues.